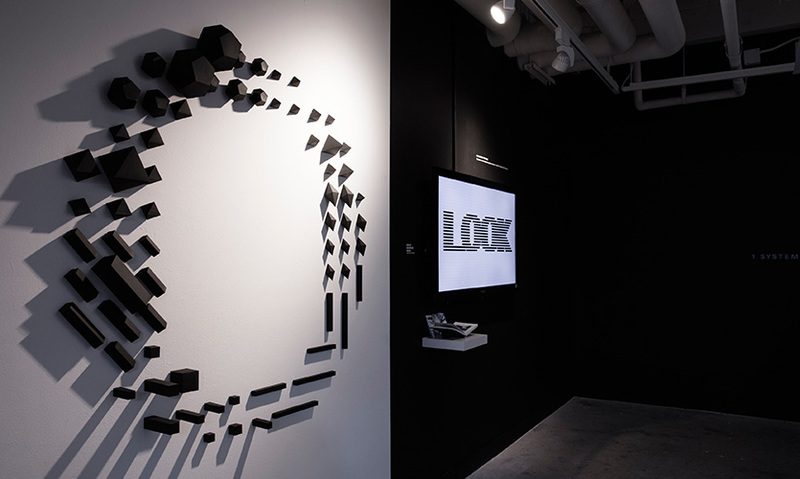 LOOK/ HEAR explores the relationship between scenes and soundscapes, looking and hearing. The 10-inch book documents the sounds and static frames of the typeface and rests on a platform on the floor. Visitors were interested to know how it worked and were keen to make noise and play with the interactive screen and projection on the wall. All of the design elements in the exhibition space subscribe to a singular visual language. The letter sculpture was created using hard paper. 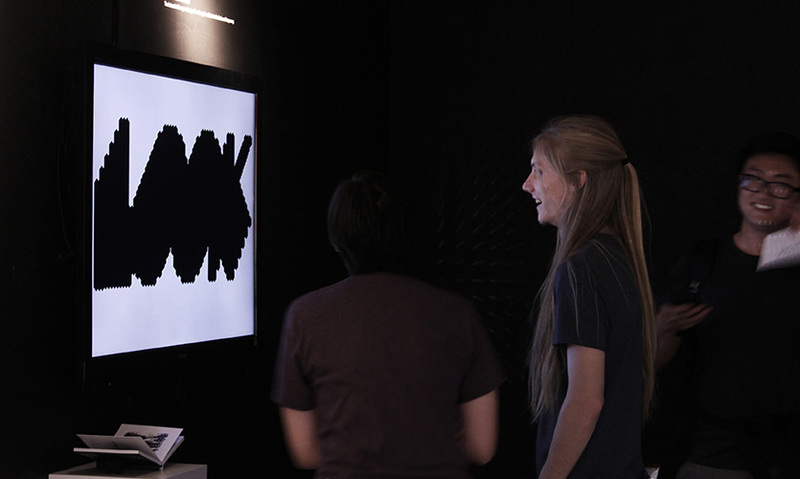 An interactive flat-screen analyzes the sound from the surroundings and shows different shapes based on sound frequency. Zheng folded 68 geometric 3-D objects from the visual system created to build the letter “O." Ran Zheng designed the exhibition, which was composed of a 3-D letter sculpture, an interactive screen, a video wall, a printed letter "O” and two books. All of the design elements in the exhibition space subscribe to a singular visual language. In the center of the space is the main typeface animation. 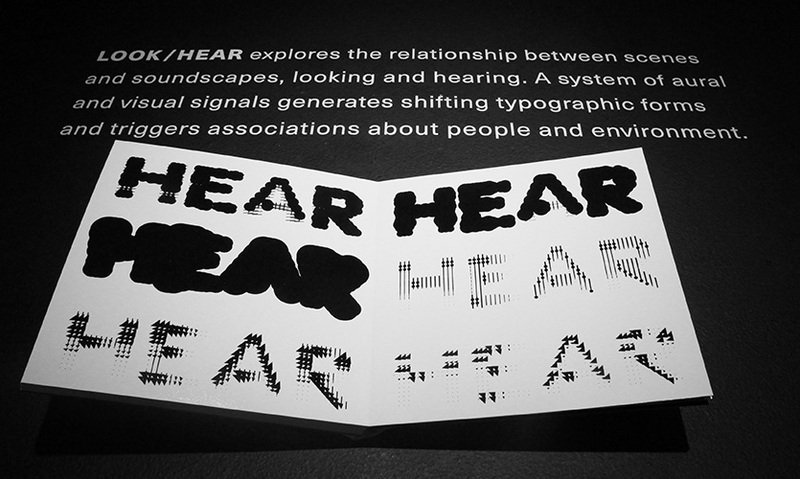 It includes five different sound scenes that generate shifting typographic forms. 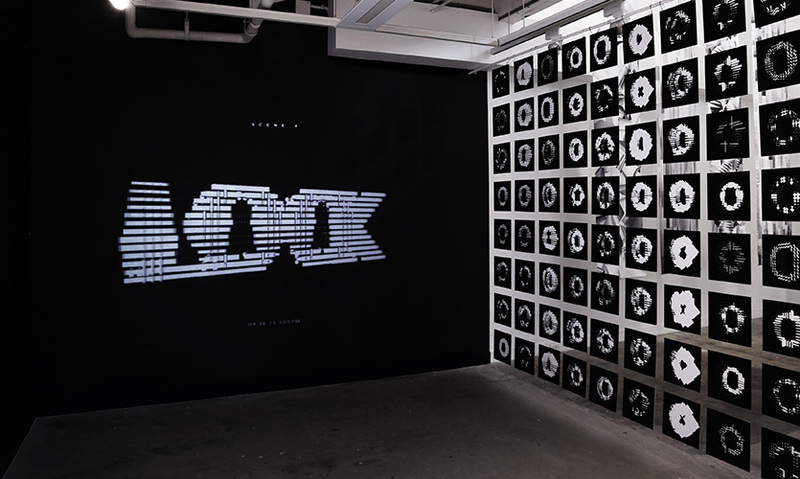 To the right, 80 different “O” shapes generated by the animation were mounted on black boards and connected to build a patterned wall. This project is intended to serve as inspiration for new ways to think about the connections of typefaces and our environment. 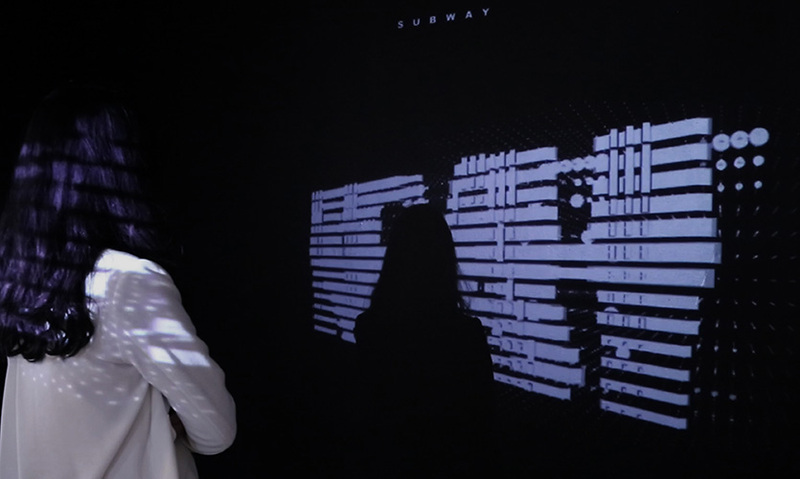 During the exhibition, visitors were interested to know how it worked and were keen to make noise and play with the interactive screen and projection on the wall. 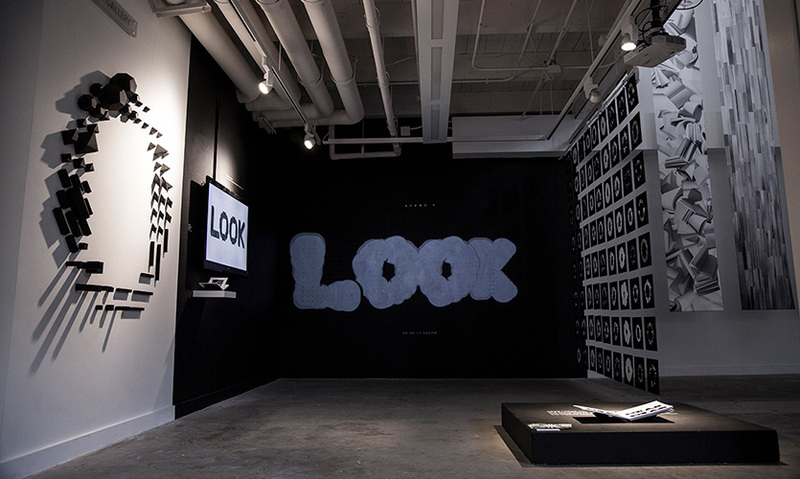 LOOK/HEAR has been published in AIGA eye on design, Communication Art Magazine, and other design media. "I love the broad experimentation with typography that is showcased here. It’s also an impressive array of physical form, projection, motion and lighting, especially for a student effort. The drama (and restraint) of black and white really makes the space." 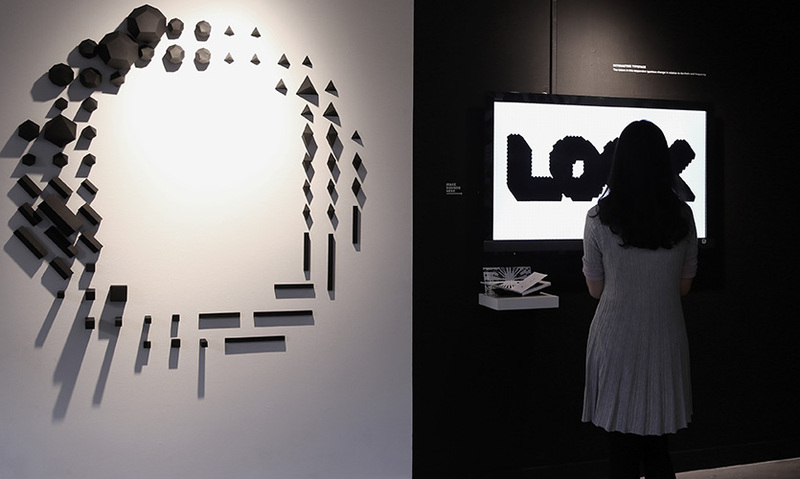 "A whimsical and yet very well-designed exhibition about the relationship of soundscapes and scene, visualized in the transformation of type, depending on the sound you hear. Visually restrained to black and white graphics and sculptures this is a delightful arrangement that explores a not so obvious relationship between hearing and seeing."